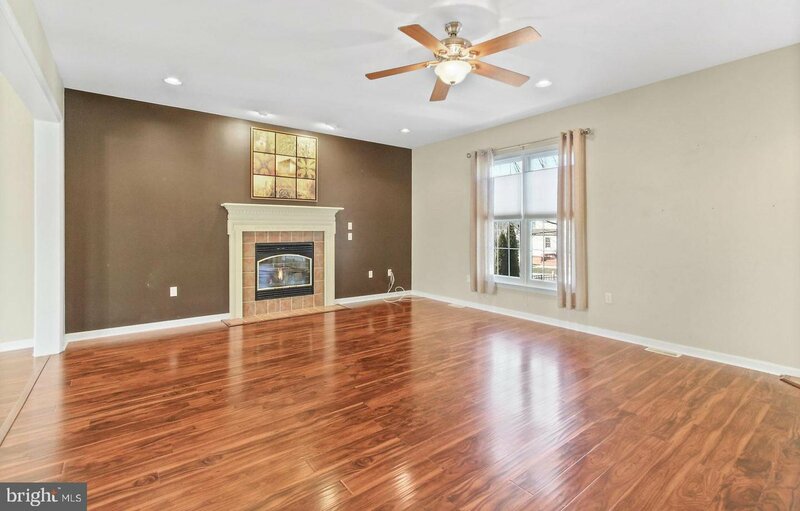 Discover the pleasures of Chestnut Ridge, an EGStoltzfus Homes Community only minutes to I83 Leader Heights and Queen Street Exits....and a stone throw to desirable Ore Valley Elementary School, in Dallastown School District. Once you fall in love with the location and community, you are sure to enjoy the wonderful comforts you can now call HOME. A 2-story entry foyer welcomes you into an open and flowing floorplan showcasing luxury amenities including 9' ceilings on the 1st floor. The living room is open to the family room, with gas fireplace, and eat-in kitchen, with stainless steel appliances and walk-in pantry. Convenient 1st floor laundry with laundry tub and patio access. Unwind in the vaulted ceiling 4-seasons room located off the family room. Retire to the 2nd floor where you'll find a spacious master suite with whirlpool master bath and double walk-in closet. There's also a door leading from the master to the 4th bedroom making it perfect for an office or nursery, if you don't truly need bedroom space. Two other bedrooms and a full bath round out the 2nd floor. Need additional space...no problem! There's room to expand in the lower level already roughed-in for a full bath. Come warmer temps, everyone will enjoy the fenced backyard with brick patio and plenty of space for an in-ground pool. The property also features 3-car end-load garage with a scrub sink and a 2 year old 10x14 storage shed. It really is the perfect place to call home!